The Sensex posted its biggest single-day gain in 19 months, soaring over 700 points, as global markets rebounded after two straight sessions of losses. 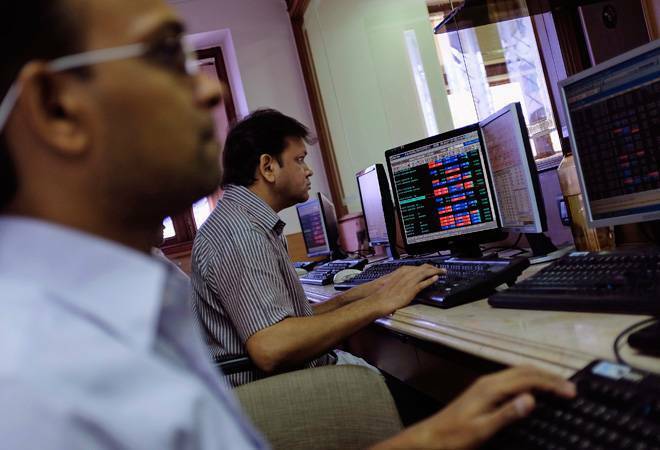 A fall in brent crude prices and the recovery in rupee also improved setiment for equities, brokers said. The rupee strengthened 53 paise to 73.59 (intra-day) against the US dollar in the forex market. Crude oil prices fell to $80.24 per barrel in international markets, making imports cheaper for India which meets 81 percent of its oil needs via imports. The economy is the third-largest importer of crude after US and China. Both Sensex and Nifty ended the week higher for the first time in six weeks. During the period, the Sensex climbed 366.59 points and Nifty rose 156.05 points. While the Sensex closed 732.43 points or 2.15 per cent higher at 34,733.58, the Nifty gained 2.32% or 237 points to 10,472 level. Doesn't look like local factors have an impact now, next week will depend on global action and results," said Jayant Manglik, president-retail distribution at Religare Broking. Top Sensex gainers were Maruti (5.89%), M&M (5.29%) and Kotak Bank (4.87%). Top Sensex losers was TCS (3.10%). Of 30 Sensex stocks, 29 closed higher. Market breadth was positive with 2043 stocks closing higher against 628 stocks falling on the BSE. BSE midcap and small cap indices rose 2.42% and 2.60% to 14,286 and 14,159 level. Auto and banking stocks led the gains with BSE auto index rising 4.01% or 787 points to 20,419 level. The BSE bankex too gained 2.44% to 28,429 level. The BSE IT index closed 114 points lower after rupee rose to 73 level and erased losses for this week. Bear operators, who had been creating short-positions in the past several sessions, were seen covering up positions, brokers said. "The whiplash in equities this week continued as market rallied strongly, driven by a good start to earnings season by IT bellwether TCS, a drop in crude oil prices, a drop in gilt bond yields and a strengthening currency,"
said Sunil Sharma, Chief Investment Officer at Sanctum Wealth Management. "Market has been deeply oversold, and investors were additionally buoyed by news that inflows into equity... Foreign investor (FI) selling was offset by domestic buyers," he added. Shares of oil marketing companies such as HPCL, BPCL and IOC remained strong, rising up to 5.36 per cent on falling global crude oil prices. Aviation stocks including InterGlobe, Jet Airways and SpiceJet also rose up to 6.03 per cent, supported by easing crude prices. Besides positive factors such as falling crude oil prices and recovery in the rupee, rebound in other Asian markets and European bourses after two sessions of heavy losses, also boosted trading sentiment here, they said. Japan's Nikkei 225 index gained 0.5 percent to 22,694.66 after sinking early in the day and following a nearly 4 percent loss on Thursday. Australia's S&P ASX 200 rose 0.2 percent to 5,895.70. Hong Kong's Hang Seng surged 2.1 percent to 25,801.49. The Shanghai Composite index advanced 0.9 percent to 2,606.91. Shares recovered in Taiwan and rose throughout Southeast Asia.